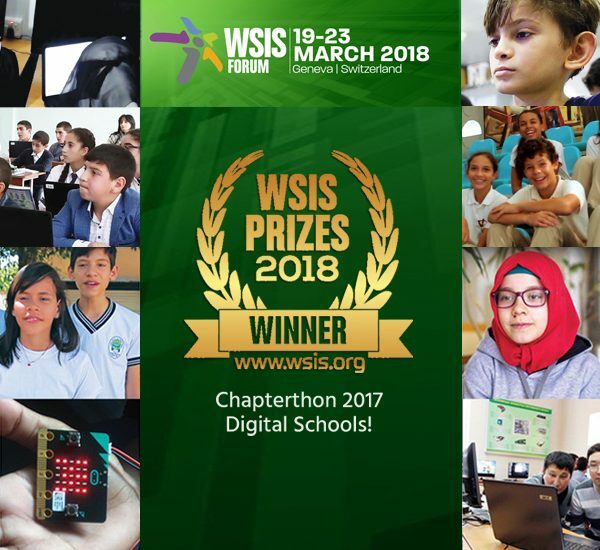 We are proud to announce that Chapterthon 2017 on Digital Schools was recognized today as the winner of a 2018 World Summit on the Information Society (WSIS) Prize under the category “International and Regional Cooperation,” awarded by the International Telecommunication Union (ITU). For the Internet Society, this award is a strong affirmation of the valuable work that our Chapters are doing on the ground to empowering their communities through the Internet and, as so, advancing sustainable development. Chapterthon is a global Chapters marathon, where our chapters work hard with their communities to develop a project within a timeline and budget for achieving a common goal. In 2017, the topic was Digital Schools and 30 Chapters from all 6 regions carried out specific projects to improving education by using the Internet. Great ideas were taken into action and each project contributes to making a difference not only in their communities but also beyond them. 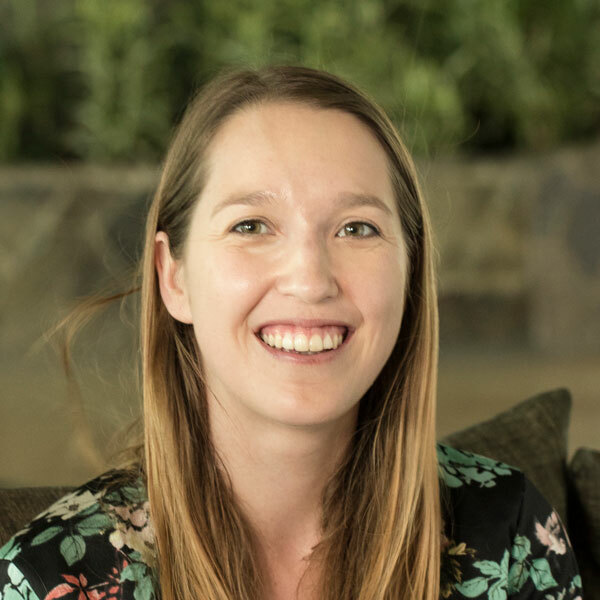 Connecting schools to the Internet through community networks, teaching coding to girls, training teachers and parents, raising awareness about the safe use of the Internet and developing an online platform for a school were not isolated actions but part of global efforts towards improving people’s lives. Together all these projects have proven that only if we join efforts we can move the needle in the right direction. “All Chapterthon projects are great examples of how the Internet can have a positive impact on education and also have made clear that change on a large scale requires a grain of salt from all of us”, said Joyce Dogniez, Senior Director, Global Engagement, during the award ceremony which took place during the annual WSIS Forum 2018. 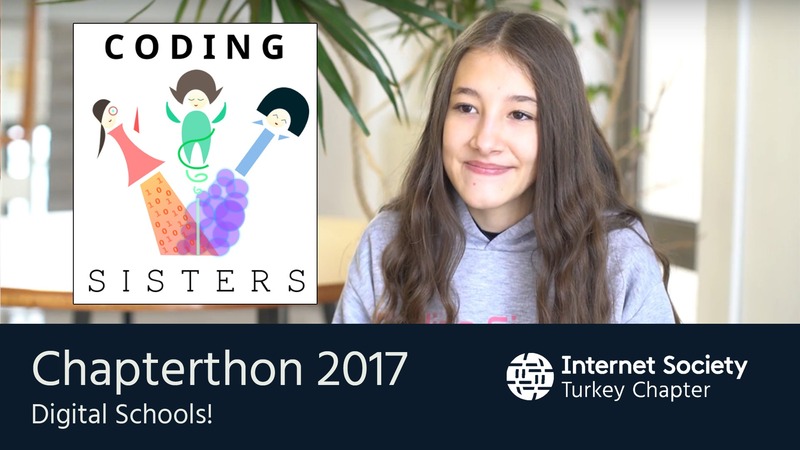 Chapterthon 2017 was developed in partnership with Wikimedia Foundation, which is another example of the importance of the cooperation for the success of this project. 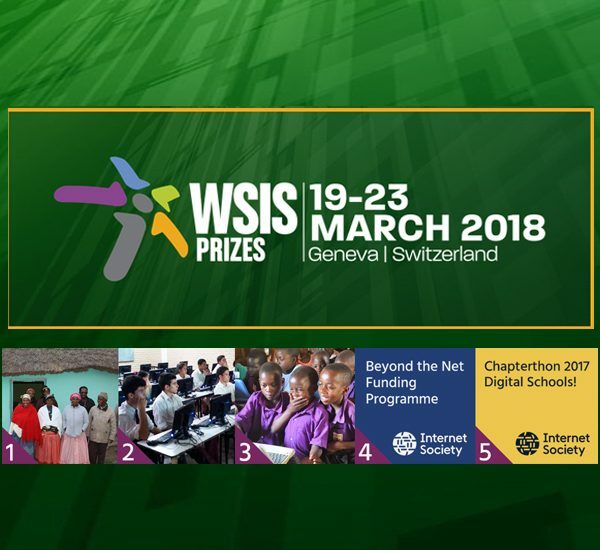 The WSIS Prizes recognize outstanding initiatives by governments, the private sector, and civil society that leverage the contributions of ICT for the benefit our society. The awards are awarded across 18 categories directly linked to WSIS Action Lines, as defined in the Geneva Plan of Action. Once again, we want to congratulate our Chapters for making this Chapterthon real and for their contribution to achieving the Sustainable Development Goals (SDGs)! Only together can we #ShapeTomorrow! Learn more about Chapterthon and the 30 projects that participated!